John Newberry was born in Corpus Christi, TX in 1977. In the mid 90’s, after graduating from high school, he was led to the Lord by a friend. Having a heart to reach skateboarders, John began ministering the gospel to many skaters and young people in the Austin area. in 1999, he was asked to come on staff at Calvary Chapel of Austin as one of the youth pastors. In January of 2001, John was ordained into the ministry. While on staff, John met his wife Kenda, and they were married in September of 2001. In October of 2003, John left his position as youth pastor at Calvary Chapel of Austin and moved to the Killeen area to continue the work the Lord called him to. 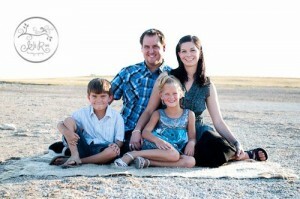 John and Kenda currently live in Killeen, TX with their son Ethan and their daughter Ethni.